Londoners and Dynafit binding owners tend to be very mindful of gaps. The city-folk are reminded to look out for the gap between train and platform when stepping onto the tube (British for subway). The ski-folk need to keep an eye on the gap between the back of their ski boots and the heel towers of tech bindings. These are important since forgetting either can lead to falling on one’s face. In this article, we will focus more on ski binding heel gap than the type that can be found underground. Tech binding heel gaps have been present since the original pin-style binders were designed by Fritz Barthel in the early 1980s. 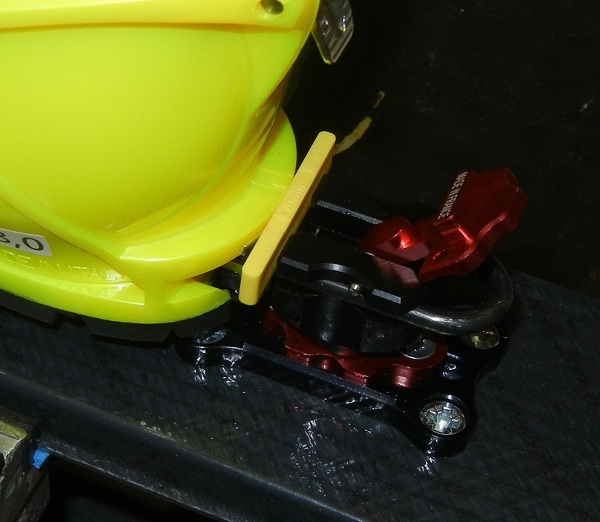 Unlike most alpine bindings, the toe and heel units on current models of lightweight backcountry bindings do not slide forward or backward when under pressure. That means another mechanism is required to allow skis to flex naturally. 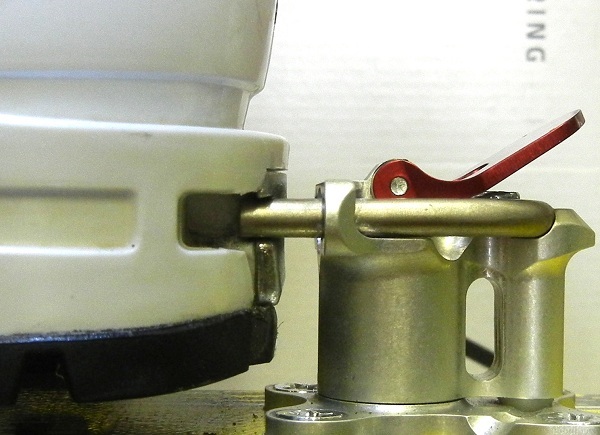 This problem was solved with metal heel pins that are designed to slide in and out of tech fittings on a ski boot. By placing a gap between the heel tower and ski boot, tolerance was added for skis to flex as the pins can dive deeper into the boot. The question is, how much gap should there be between the boot and heel unit? Or asked another way, how much should the metal pins slide into your boot? If there is too small of a gap, the metal pins become fully inserted into the boot and the heel tower itself collides with the boot. 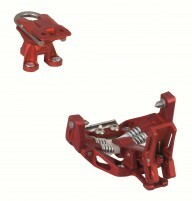 This can prevent the release mechanism of the binding from working properly. If the heel gap is too large, your release values might end up on the low side causing pre-release and the aforementioned face plant. In extreme cases when the ski is flexed in reverse, say when picking up your foot lodged in deep snow, the pins can pull out from your boot completely. Therefore, it’s crucial for optimum performance of tech bindings to have the gap configured correctly. So how do you set the heel gap correctly? That mostly depends on whether your heel piece has a fore/aft adjustment mechanism. If the heel does not adjust, you have a race binding and it needs to be mounted precisely for your boot. 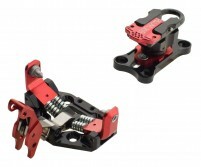 Binding manufacturers provide their dealers with jigs designed to make setting this gap a snap, though with manufacturing tolerances you can't blindly trust them. We specialize in fixed race mounts at Skimo Co and have custom tools and processes to ensure accuracy. This means that, uniquely, we can guarantee a precise race mount. Adjustable bindings on the other hand let you work with various boot sole lengths. Ranges of 20mm to 40mm of adjustment are typical. With Dynafit touring bindings, a few twists with a Pozidriv screwdriver will set your gap, though a flathead will do in a pinch. For Trab adjustable bindings on the other hand, a socket wrench may be needed. Plum includes a mini Torx key with their adjustable bindings. Whichever the tool, you will have some flexibility when it comes to changing boots and a margin for error when mounting by hand. To help measure the heel gap, some manufacturers include various shims that approximate their specified heel gaps. These should slide snugly between the boot and the heel housing. For adjustable bindings, you can tune the fore/aft settings with the shim in place until it fits. 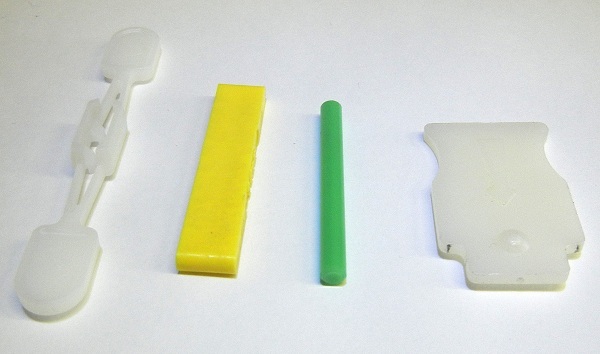 See below for a sampling of the shims that might ship with your bindings. If you do not have a shim, various arrangements of pocket change will do the trick. Two unworn nickels measure just under 4mm, and adding a quarter will approximate the 5.5mm gap. 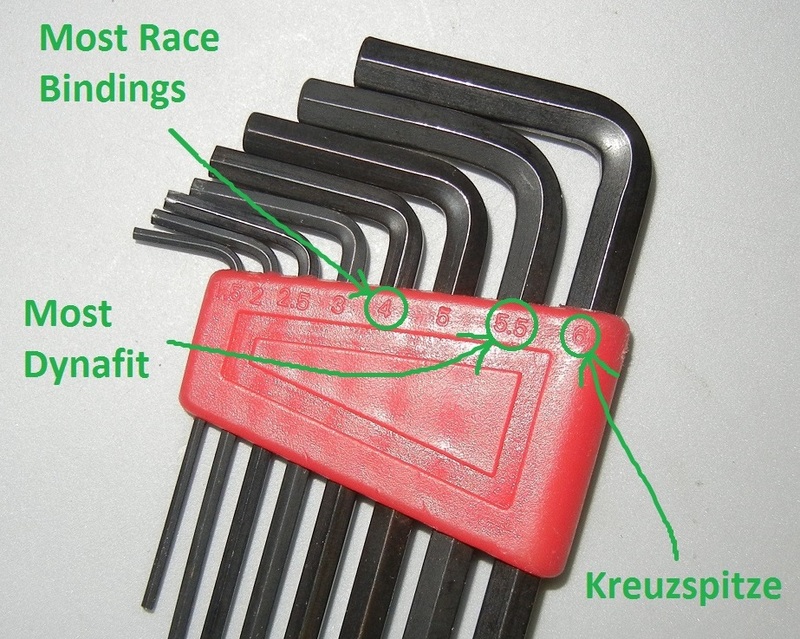 Alternatively, a cheap set of metric hex keys makes a great heel spacer kit. In conclusion, it is important to be mindful of your tech binding heel gap, sometimes referred to as the “tech gap”. You should only need to set it once per boot configuration, but please make sure it is as close to manufacturer spec as you can get it. If you would like more frequent reminders of gap dangers, we recommend a sightseeing tour of the London underground. Does the TR Race and TR Adjustable binding use the same jig? Good eye! The adjustable version is currently lacking in jig support. The toe piece works but the heel is left to paper and patience. At least there is some room for error on that one. Quick update. 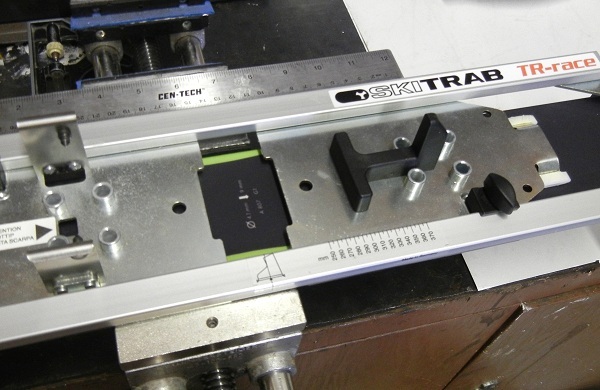 The new TR2 binding jig also has holes for the TR Adjustable. It will be shipping in the fall. Haven't made a final decision yet but it's unlikely. We're not in a position to push a new standard at our size, and it's not in our sweet spot of lightness. Definitely getting a jig though! Sometimes, race bindings are hard to get in when they are new and get easier over time as the pins wear where needed. This could also be created by a too little gap which is totally possible to make since mounting a race binding is laser error margin process. To fix the issue of problematic stepping when mounted correctly I have seen Euro mechanics file the pins a bit after mounting new skis - basically, wearing them down right away! By filing down the pins, does that only make entry easier, or would it also reduce the release value? As a 60+ skier (w/ big feet) using a pair of non-adjustable race bindings I am looking to back off the release value a little...w/o purchasing new heel units. In my opinion, filling down the pins does not change the release value per se. However, once pins are well worn out then your boot might pop out of the binding sooner if force is applied in the right/bad angle, however, such release would not be due to the heel spinning because the release force was overcome but due to poor conditions of the pins. Hope that makes sense. And the gap for the RC1 binding? 4mm? Hi Scott, just updated the list with some newer bindings. Yes, RC1 is 4mm. I'm assuming the gap on the PDG binding is the same as the Low Tech Race 2.0 at 4mm? Thanks! Hi CER, yes, that is a 4mm gap as well. Hi. Thanks for a great article. I recently received some skis from a euro retailer. My boots are difficult to clip in and the 'tech gap' is certainly less than Dynafits recommended 4mm for the low tech race heel piece when measured with a 4mm Allen key. Would the heel piece wear in with time or should I return the whole thing to the retailer. Hi Alex, yes, a tighter gap can increase the entry and release forces. Unfortunately the gap doesn't change over time with a fixed mount. Hi Martin, you can clamp a piece of paper (~0.1mm) between the boot and heel, then back up the heel until it falls out. Hi, I have a pair of Hagan ZR Bindings mounted with a 4mm gap. Now I am thinking about switching to new boots with a 2 mm shorter BSL which would mean a 6mm gap (assuming accurate measurements and a similar distance from the front edge to the toe inserts). I read somewhere that some people mount the ATK race bindings with the 5.5 mm gap to be able to rotate the heal 90° for a flat position. If 5.5mm works I am guessing 6mm will be fine without a remount as well. Does anyone have experiences with that? Hi Jakob, the official BSL marks aren't perfectly reliable when calculating precise heel gaps. That said, it is likely possible you can ski at a 6mm gap, noting the release value will be very different and you may need to adjust accordingly (style or locked vs unlocked). Hey guys, do you know the gap of the old Dynafit Tour Lite Tech heel? It's grey, blue and red with a metal post as the high riser? I assume its 4mm, but the pins are quite short and there's a plastic nub that protrudes between the heel pins. Thanks. This article was originally published on 12/26/2013 and was last updated on 10/8/2018.